1. Which concentration most interests you? Which concentration most interests you? Be a more influential voice in education. The American education system continues to face mounting challenges that require passionate and informed responses facilitated by experienced practitioners. At Bradley University, we do everything we can to educate and prepare leaders like you to address these challenges today and long into the future. One way we’re doing that is by incorporating a unique, practical doctoral research requirement. Action research methodology is strategically embedded throughout your coursework, allowing you to immediately apply what you’ve learned to real-world scenarios. Complete the doctoral research requirement employing action research methodology embedded within coursework. This track has been designed for students interested in becoming a superintendent in a school district. This track has been designed for students interested in higher education or community college leadership. 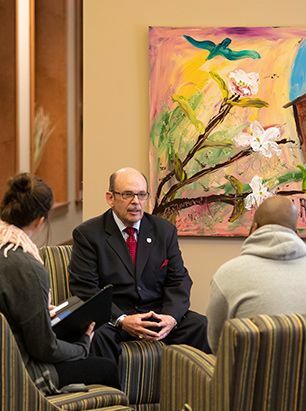 Bradley’s online Doctor of Education program has been developed with a strong emphasis on practical applications of school leadership strategies, theories and best practices. 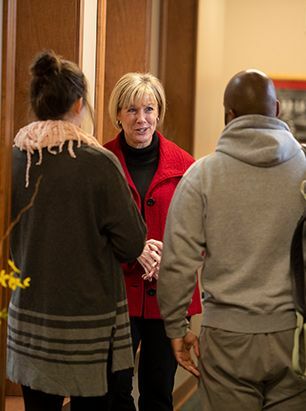 In addition, our program also stresses ethical leadership in a variety of higher education settings. To stay informed of current challenges, Bradley has established relationships with the National Association of Elementary School Principals (NAESP), National Association of Secondary School Principals (NASSP), American Association of School Administrators (AASA), International Council of Professors of Educational Leadership (ICPEL) and more. Beyond our extensive background in higher education, Bradley’s Ed.D. program is often recommended by people you know and trust. From principals to superintendents, Bradley has educated leaders working in higher education across the nation, becoming synonymous with excellence and success. At Bradley, our online Ed.D. program separates itself from other online education doctoral programs by applying theory to real-world issues, selecting professors with practical experience and emphasizing social justice in education and leadership. Our professors are selected for their history and practical experience in public schools and higher education, and ability to bring that expertise into the classroom. The doctoral research requirement employs action research methodology within coursework. An emphasis on social justice prepares graduates to identify and combat injustice for the benefit of all students within their schools. Learn from innovative education leaders. The dedicated faculty members who lead our online doctoral programs in education are committed to helping you succeed as you take the next step in your career. Our faculty facilitates rich experiences by sharing their first-hand knowledge, allowing students to apply practical theories to current and future challenges. What can you do with an Ed.D.? Earning your education doctorate degree online can open your career up to numerous new opportunities. Each of our educational pathways, PK-12 Educational Leadership or Higher Education Administration, offers unique and rewarding professional growth opportunities. For those interested in becoming a school superintendent, our PK-12 Educational Leadership track can provide the practical knowledge and expertise necessary to attain such a position. The median salary for a school superintendent, according to payscale.com, is $116,714 — almost $30,000 more than a school principal’s salary. If you’re more interested in leadership at a university, college or community college, our Higher Education Administration track can help you meet that goal. Earning your Ed.D. can propel and secure your career in higher education. Many community college professors have earned a terminal degree in their field, driving up the competition and making a doctorate a near requirement. Learn more about the online doctor of education.